There’s always a reason to celebrate. Lounge in the comfort of our indulgent rooms and toast to that special someone with some bubbly and a sensuous chocolate surprise. This package is sure to set the mood for any occasion – so get a room! 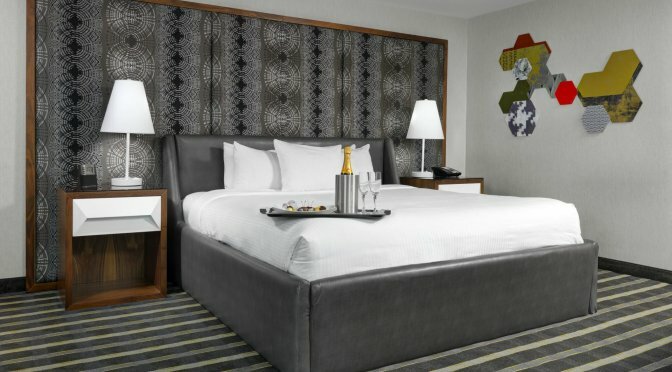 Hotel Arts is where you want to be; a short walk from the Saddledome, Studio Bell (National Music Centre), TELUS Convention Centre and other downtown attractions. From cool eateries to boutique shopping and bustling nightlife, the entire creatively charged city is at your disposal.